A new, revolutionary sailing holiday is born. Adjust your sails, cruise the blue waters and discover the beautiful South of Italy region thanks to the several experiences offered by Sail and Experience. You may choose among wellness packages, bike tours, hiking tours, guided tours in archeological sites, food and wine tasting. Celebrate your special event with us or become a captain with one of our sailing courses. Are you looking for the best vacation packages in Italy? 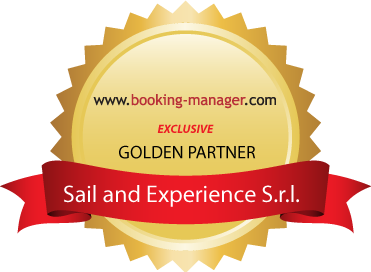 Sail & Experience offers a wide range of tours designed specifically to combine the passion for the sea and sailing with many customizable experiences: Sail & Wellness to relax in the ancient baths heated by Vesuvius, Sail & History to experience a day like a Roman walking through Pompeii and Herculaneum, Sail And Food & Wine to taste the delicious specialties of Campania, Sail & Hike to immerse yourself in the nature of the Amalfi Coast admiring one of the most beautiful views in the world, Sail & Dive, for a dive in the submerged cities and deep sea and many more. Are you looking for a vacation suitable for the whole family in Italy? Discover our tours built on your needs and those of your family. On board a comfortable yacht you can visit the beauties of the Gulf of Naples, in complete safety. Your children will love the experience of living the sea 24 hours a day and sleeping in the cabins under the stars, cradled by the waves, like real sailors! Which are the best destinations for a trip to Italy? Definitely Naples and its Gulf, a unique place in the world that combines centuries of history, breath-taking views, a sea to live and a rich and varied cultural and food and wine heritage. No other place in Italy can have the same concentration of wonders to visit. Are you passionate about hiking and trekking, but you do not want to give up a beach holiday? Choose our Sail & Hike cruise in a luxurious sailboat along the Amalfi Coast or the Flegrean Islands combining t the sailing the excursion of the famous Path of the Gods; a 3-hour walk from Agerola to Positano along the coast with breath-taking views and unique views in the world.